If you are fond of 20th C art, you can’t miss a tour at the Peggy Guggenheim Collection, one of the most important museums in Italy for modern art. It is located in Peggy’s former home, Palazzo Venier dei Leoni, a beautiful building from the 18th C on the Grand Canal. 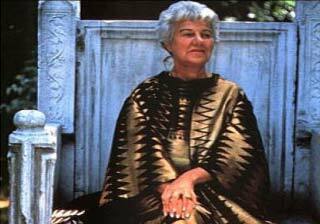 Peggy Guggenheim purchased it in 1948 and lived there until she died, in 1979. The museum was opened in 1980 and exhibits Peggy Guggenheim's personal collection as well as masterpieces from the Gianni Mattioli Collection, the Nasher Sculpture Garden, and temporary exhibitions. The Peggy Guggenheim Collection belongs to the Solomon R. Guggenheim Foundation, which also operates the Solomon R. Guggenheim Museum, New York, the Guggenheim Museum Bilbao, and the Deutsche Guggenheim, Berlin.